Cosmetic bonding is an aesthetic dentistry process that uses a special composite resin to fill in and enhance the appearance of your teeth. Teeth Bonding can be used to repair chipped teeth or tooth fractures, or to fill in decay. 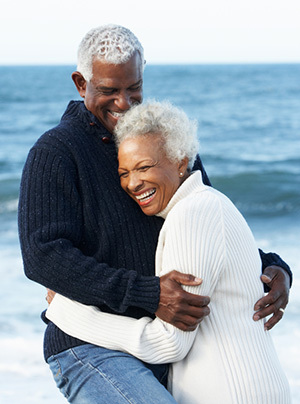 Bonding can also be used to fix tooth discoloration or to change a tooth’s shape. If you have spaces in between your teeth, bonding can also be used to close the gaps. Cosmetic bonding is an easy, safe, and effective way to improve the appearance of your teeth and to fix tooth damage. The results are beautiful and look completely natural. The composite resin materials used in bonding are tooth colored and shaded to match the color of your regular teeth. You will be able to enjoy a full, beautiful smile in Fishers without your peers being aware that you’ve had a cosmetic bonding procedure. 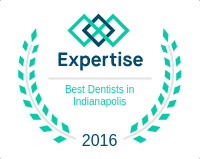 Dr. Behner can use his exceptional skill and experience with cosmetic bonding in Indianapolis to achieve the results you are looking for. Cosmetic bonding is a versatile dentistry service that can be used to fix multiple tooth defects and improve the appearance of your smile. Cosmetic bonding is convenient and affordable. A bonding treatment on a tooth can usually be completed in one appointment. Cosmetic bonding requires no prior anesthesia. When you come in for a cosmetic bonding in Fishers, Dr. Behner will begin by choosing the composite resin material that matches the color of your teeth. After the resin has been selected, Dr. Behner will prepare your teeth by roughening the surface of your enamel, and applying a special conditioning liquid that will help the material bond. The putty like resin will be molded, shaped, and hardened onto the surface of your tooth. Dr. Behner will use the resin to fill in decay and gaps, repair damage, and enhance your tooth’s appearance. The process generally only takes around thirty minutes to an hour. After a cosmetic bonding appointment, you can leave the office with a brighter, more beautiful smile. To find out more about cosmetic bonding or our other aesthetic dentistry procedures, contact us at our office in Fishers. Dr. Behner and his staff area happy to provide services to everyone in the Indianapolis area, from Fishers and Carmel, to Noblesville and McCordsville!